On the drive to work the other morning, I was listening to KLOS, hoping to catch some Pat Benatar or Eagles or Doors or other standard L.A. FM-radio fare. 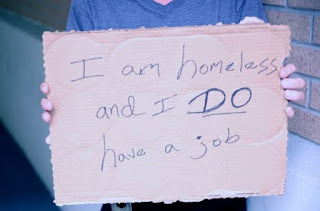 Instead, I started listening to a caller who said she was homeless but had a college degree and some certifications, with bookkeeping and administrative skills, recent work experience, and so on. She sounded sharp—spry, even. The morning personalities ("Heidi and Frank") asked the caller how in the world she had become homeless. The woman mentioned something about a divorce and losing her job, then "the next thing you know, you're living out of your car." Actually, it's not that hard to understand. Alfred Postell is a Harvard-educated lawyer. 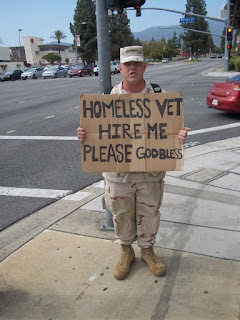 He’s also homeless. The Economist, which (bear in mind) is hardly a paragon of left-wing social advocacy, ran an article recently about the high cost of being poor. It mentioned that "In 2014 nearly half of American households said they could not cover an unexpected $400 expense without borrowing or selling something." In L.A., the median rent is now around $1800 a month, so if you're one of those can't-afford-a-sudden-$400-expense households and you suddenly lose your job, it's a Very Big Deal. It could mean moving into your car while you begin the 28.4-week (on average) process of finding a new job. Back to the homeless radio-show caller. 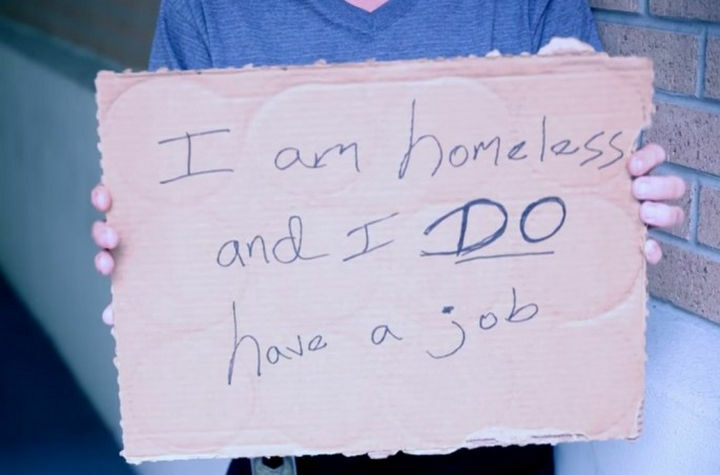 It turns out being homeless but college-educated is in no way uncommon, although people still treat it as a freak situation (which it's not). The Washington Post not long ago ran a story about a Harvard-educated lawyer who is homeless. It's the sort of story that goes viral because it's so unexpected. But it's only unexpected because so many people are so ill-informed about homelessness. Also, we have a strong need to believe our cherished myths about education being the key to a better life blah blah BLAH BLAH. When reality collides with that sort of myth, the myth, oddly enough, tends to win. But: The homeless don't work, right? We tell ourselves all kinds of myths to avoid having to understand homelessness in any kind of detail, because it's just too frightening a subject. 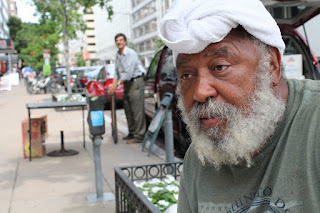 One of the most popular myths is that homeless people are, by and large, either drug addicts or mentally ill, or both. That's pretty far from accurate. In L.A., only about 20% of homeless are mentally ill. Substance abuse is harder to quantify (since it's based mostly on self-reporting), but the Substance Abuse and Mental Health Services Administration estimated, in 2003, that 38% of homeless people were alcohol-dependent and 26% abused other drugs. That's a lot, but it's not 100%, or even 50%. Another myth that's comforting (somehow)—because it keeps us from having to think any further—is that many homeless people choose homelessness. We have a strong, primal need to cling to our feel-good beliefs. If someone is poor, it's obviously because they chose that. That's the predominant myth sold in America. If you're not a millionaire, it's because you didn't choose it; you chose to be the loser you are. Not getting that dream job? It's because you made these 10 common mistakes in your resume. Not getting traffic to your website? It's because you didn't follow these 5 surefire headline-writing techniques. Not getting the man of your dreams? You didn't read last month's Cosmo. Your clothes are unflattering. Your hips are too big. You're not wearing the right perfume. You're not going to the gym enough. Not successful beyond your wildest dreams? You didn't follow the law of attraction. That's it. That's it in a nutshell. You're unattractive. To the universe. In general. Go live under a bridge and die.